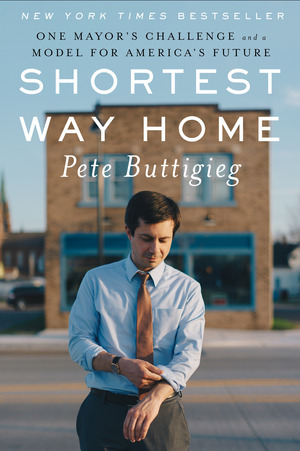 Elected at twenty-nine as the nation’s youngest mayor, Pete Buttigieg immediately recognized that “great cities, and even great nations, are built through attention to the everyday.” As Shortest Way Home recalls, the challenges were daunting—whether confronting gun violence, renaming a street in honor of Martin Luther King Jr., or attracting tech companies to a city that had appealed more to junk bond scavengers than serious investors. None of this is underscored more than Buttigieg’s audacious campaign to reclaim 1,000 houses, many of them abandoned, in 1,000 days and then, even as a sitting mayor, deploying to serve in Afghanistan as a Navy officer. Yet the most personal challenge still awaited Buttigieg, who came out in a South Bend Tribune editorial, just before being reelected with 78 percent of the vote, and then finding Chasten Glezman, a middle-school teacher, who would become his partner for life.